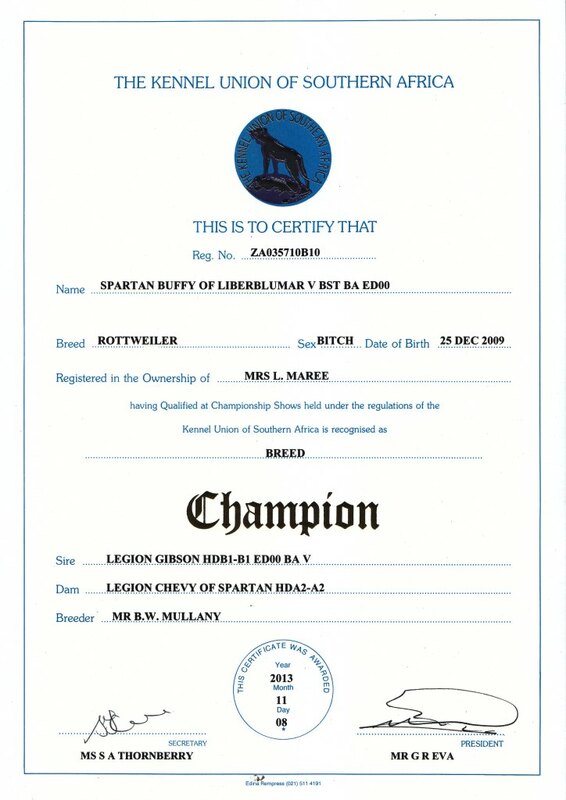 Spartan Casimaria of Liberlumar (Bella) passed her Breed Assessment (BA) and Breed Suitability Test (BST) in October 2105 under Herr Anton Spindler from Germany. Liberlumar Cain won Best Puppy under Judge Sue Carter at the Cape Rottweiler show. 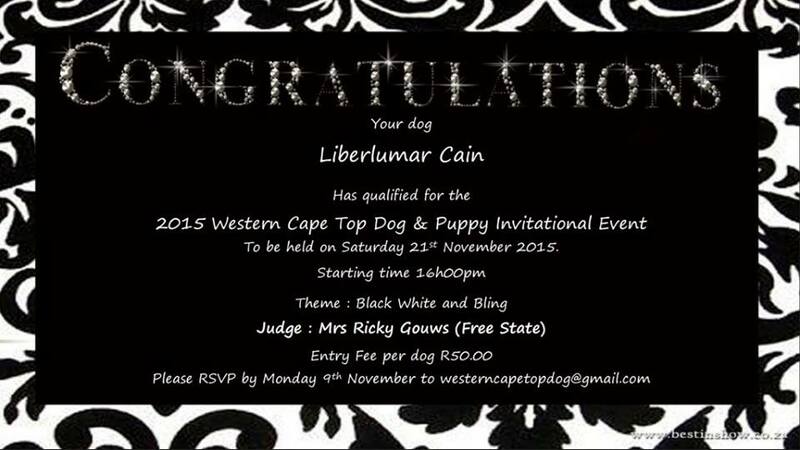 Cain was also invited to the prestigious Western Cape Top Dog and Puppy Event 2015 in November. 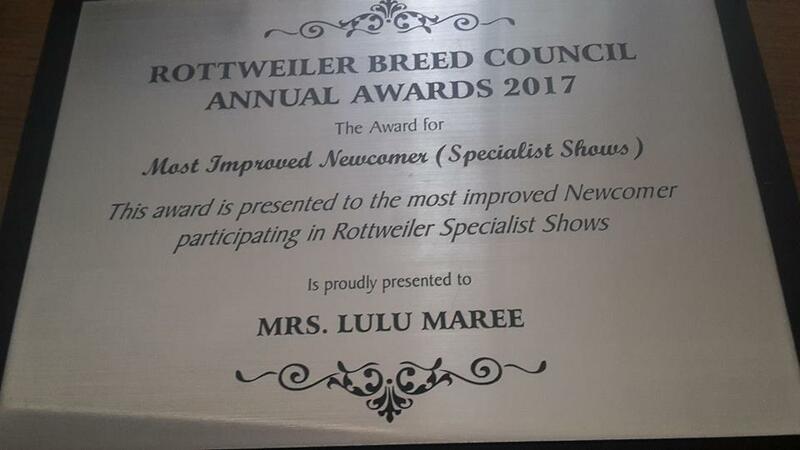 Two of our puppies, Liberlumar Dallas (owned by Darren Hedenskog) and Liberlumar Dingo (owned by Pam Gorre) are also making name for themselves in the show ring. Thank you to both owners for showing your dogs. Liberlumar Cosmo (owned by Jean Erasmus) is also training for his BH and VO title later in 2016. 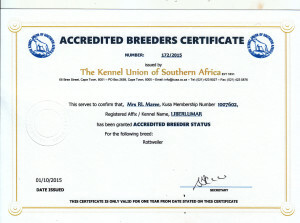 Accredited Breeders Status was awarded by KUSA to Liberlumar Rottweilers. Liberlumar Team did well at all the shows we attended. We went to Outshoorn to compete with – Liberlumar Cain, Liberlumar Ebony, Liberlumar Dallas and Spartan Casimaria of Liberlumar. We all had a funfilled weekend and came home with two CC’s. Liberlumar Cain won multiple first places and Best of Breed classes. 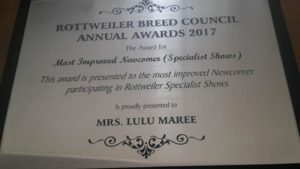 At the Western Province Rottweiler Club specialist show he was awarded V1 grading and he qualified for his BA under Judge Letsie Fisher. Liberlumar Dallas qualified for his BA under Judge Letsie Fisher. He qualified for his BH under Judge Grant Higgo. Liberlumar Cosmo owned by Jean Erasmus from East London passed his BH under Judge Grant Higgo. Liberlumar Cain was once again invited to the prestigious Western Cape Top Dog and Puppy Event November 2016. Liberlumar Ebony and Qwin Vom Haus Burns of Liberlumar also did well and won their classes. 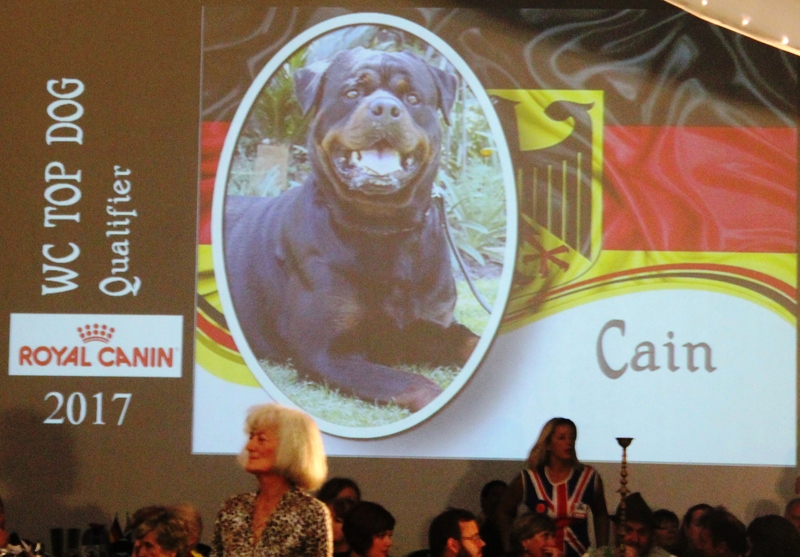 Mother Gaia and son Cain was placed V2 and V3 in their respected classes. Liberlumar Dallas owned by Darren Hedenskog participated in the Aptitude Test (May 2017) Dallas scored an Excellent score of 256 points!!!! 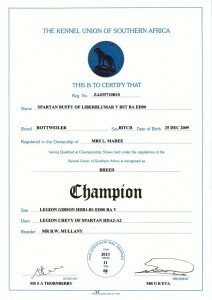 Liberlumar Dingo qualified for his BA under Judge Herr Edgar Hellman. Our girls did not participate at shows this year due to our breeding programme later during the year they will be seen in the show ring again! This was a very sad year as we had to say farewell to Raka and Gaia. Both of them passed away suddenly. Gaia left her legacy behind in her beautiful pups and a deep emptiness in our hearts.